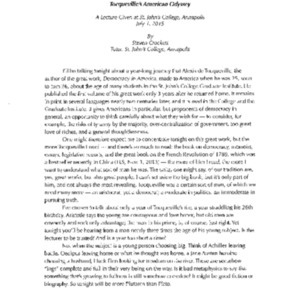 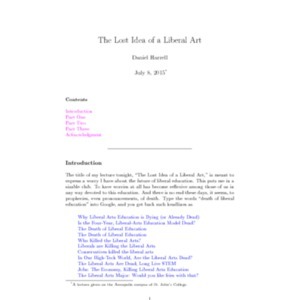 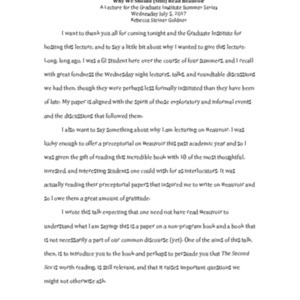 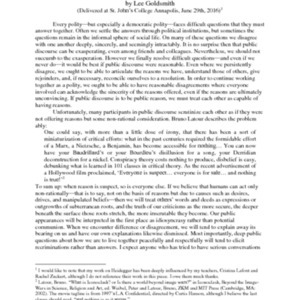 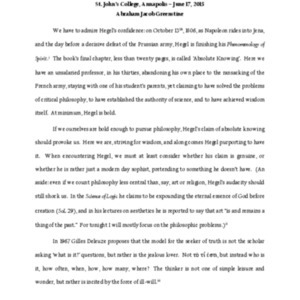 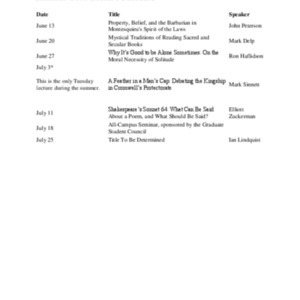 Typescript of a lecture delivered on June 29, 2016 by Lee Goldsmith as part of the Graduate Institute Summer Lecture Series. 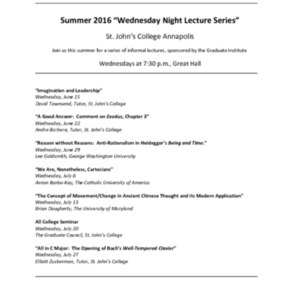 Summer 2016 "Wednesday Night Lecture Series"
Schedule of lectures and concerts in Summer 2016, sponsored by the Graduate Institute. 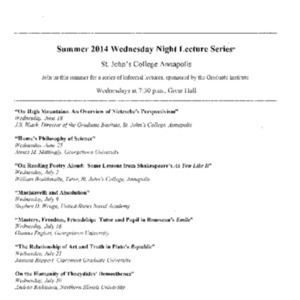 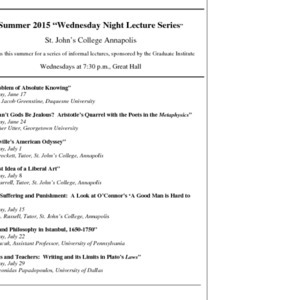 Summer 2014 ["]Wednesday Night Lecture Series"
Schedule of lectures and concerts in Summer 2014, sponsored by the Graduate Institute.